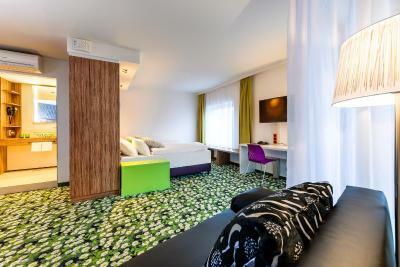 Lock in a great price for Ibis Styles Wien City – rated 8.6 by recent guests! Clean and quiet at a standard that is similar to other Ibis hotels that I have visited. 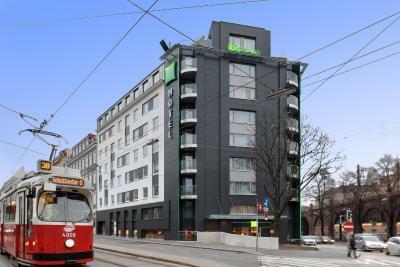 The location is excellent if you don’t like staying in the city centre, very close to U-Bahn and tram stops, rooms are small but very clean and breakfast is varied and delicious. I liked that they had a 24h reception, English speaking and the card system. Also, the elevators worked on the same cards so I knew that my room and stuff was safe. I liked that they had the phone for calling abroad. Also by the bed were switches and you could roll the curtain down and up according to your liking. Another nice thing to increase the comfort of the bed was a wooden board to support your back if you wanted to read a book. Overall I am more than satisfied with the accommodation. 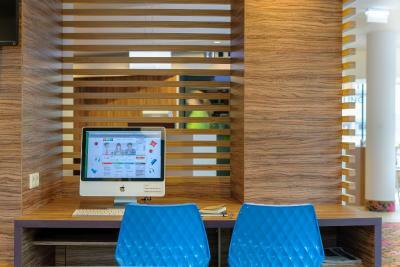 Extras like a free mobile phone and free tea and coffee all day added to the comfort of the stay. Great value for the money. Very clean, new and quiet room. Excellent breakfast. 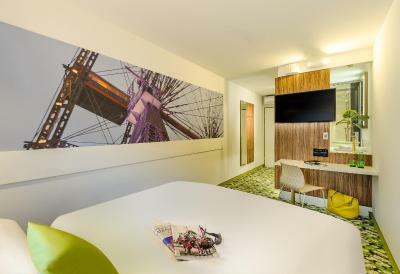 Ibis Styles Wien City This rating is a reflection of how the property compares to the industry standard when it comes to price, facilities and services available. It's based on a self-evaluation by the property. Use this rating to help choose your stay! 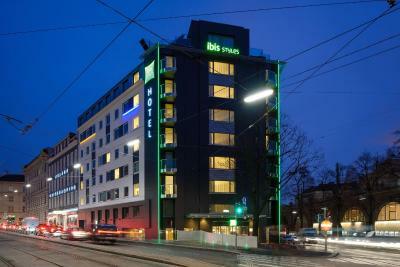 Ibis Styles Wien City is within a minute’s walk of different restaurants, and Vienna’s city center, Saint Stephen’s Cathedral, the Hofburg Palace and Opera House can all be reached easily by different modes of public transport which are within 350 feet. 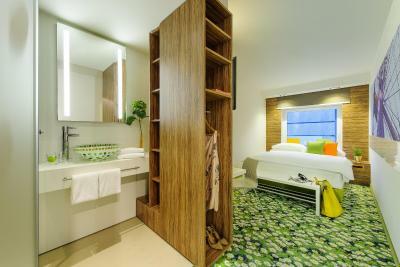 Units at the Ibis Styles have free WiFi, a flat-screen TV with 96 channels, and an open walk in bathroom with a shower and toilet. 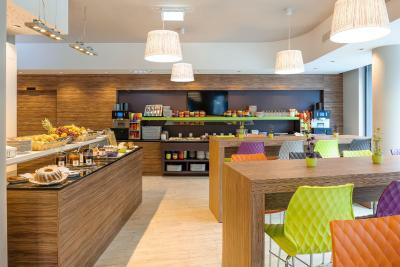 The property has a lobby bar where snacks available, a drinks vending machine, and free tea, coffee and water are available until 22:00 in the lobby. Private parking is subject to availability (reservation is not possible). Vienna Airport is 16 mi away. 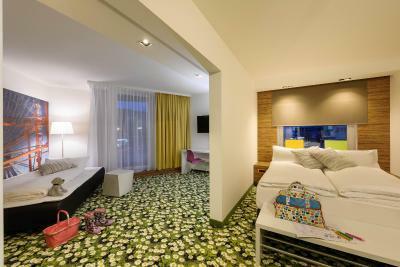 When would you like to stay at Ibis Styles Wien City? This room has a flat-screen TV and a bathroom with a shower and toilet. 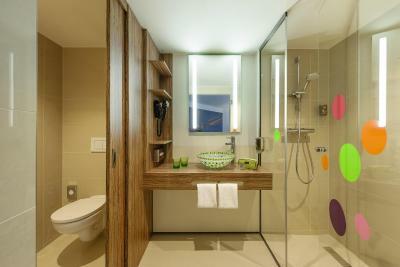 This suite has a flat-screen TV and a bathroom with a shower and toilet. It has a double bed and a sofa bed. Please note that this suite can only be booked for 4 guests. Please note that only the Twin Room is wheelchair accessible. The comfort of unique design at a carefree price. Discover a place that will inspire you. 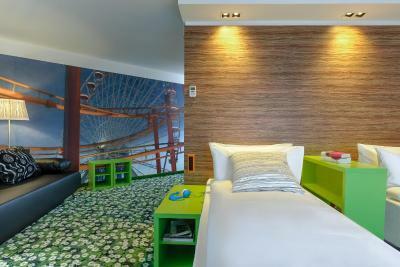 A hotel with character - colourful, lively, stylish. 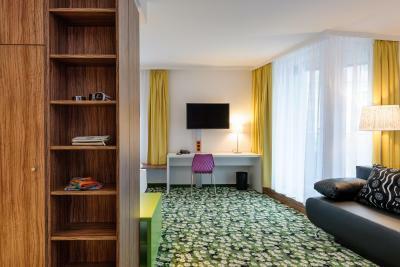 House Rules Ibis Styles Wien City takes special requests – add in the next step! Debit card Ibis Styles Wien City accepts these cards and reserves the right to temporarily hold an amount prior to arrival. 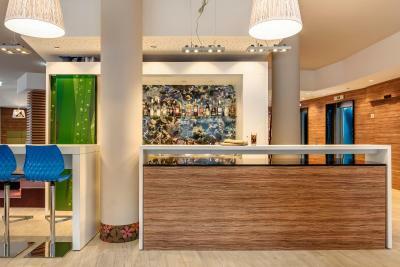 Ibis Styles Wien City accepts these cards and reserves the right to temporarily hold an amount prior to arrival. Please note that parking is always subject to availability, allocated upon check-in and reservations are not possible. Parking needs to be accessed via Döblinger Gürtel 1. Please contact the property for further details. Contact details are stated in the booking confirmation. When we had to leave, before checking out the front desk manager told us that we had to pay for breakfast which we didn’t have, we told him it was mistake and he said okay and we left, after that they cut out the money for breakfast form our card, I called them and the woman said to me that they had my signature for breakfast on 14 April, I asked them to send that papers to me by email, they send it to me and that was not my signature, that wasn’t even my handwriting, I asked them to check cameras, because We didn’t have breakfast or even coffee in hotel, especially on that day, that was my birthday and we had breakfast and everything outside of the hotel. Strange things for me is that they haven’t checked cameras, I asked them many times without results. After that they send me the invoice ( I think it was fake) that they already returned money to us , but that is another lie , cause they didn’t and I can prove it easily. Be careful when you stay there . I had a problem upon check-in as I was on a business trip and the wifi wasn't working. The desk clerk provided an ethernet cable but that did not work either, they said the internet provider was doing maintenance in the area and that it would take 3 days to get fixed. I considered moving to another hotel as an internet connection is essential in my work and I was in Vienna for 2 days only. In the end the internet got fixed the next morning but the evening clerk had a bit of an attitude problem. 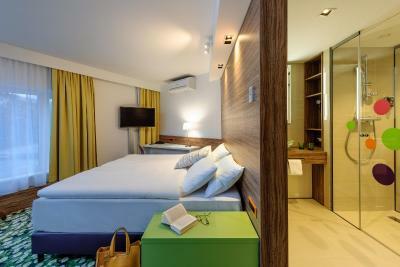 Nice modern hotel, comfortable and clean rooms, fun decoration in cheerful colors, very nice and ample breakfast. WiFi was unavailable for a 24 hour period. I was unable to access emails and perform basic work. The staff were not helpful or apologetic. The desk and seat were of very poor quality. In general, I would not go here if you are on a business trip! Did not like the pillows. Have a very sore neck after two nights. The clear/see through shower door. The breakfast was good and the staff was very nice and helpful. -The Wifi connection is pretty poor and unstable that I have to use my own data. -Barely have hot water for the second day, struggled to finish bathing. -A bit overly-priced for a room which is out of city centre, with weak wifi and have no hot water. -The location is a bit out of city centre but it's close to the U Bahn station so it's convenient to travel to every attraction. -The staff is helpful and friendly(especially the staff who are in charge of breakfast). 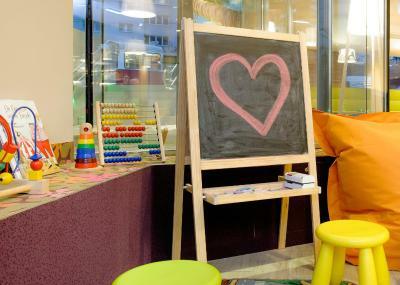 -The interior design of the room is quite unique and edgy. Everything was really nice! The conditions were more than I expected. Wifi is frustrating, it drops too often - and our room was a bit squashed. We had requested an upper level room but they were undergoing painting so we couldn't stay there. Breakfast is super, the best bit of the stay - I re-booked it after staying there last year, specifically because of the breakfast. It is also very accessible by public transport. It is a bit noisy, even if we got a room in the upper floor. 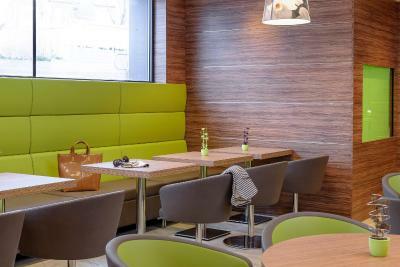 Perfect location, close to the U-bahn, very nicely decorated rooms, friendly staff.